I've grown concerned over my cat's obsession with food. Anytime I'm in the kitchen, she cries and circles around my feet, begging for more. 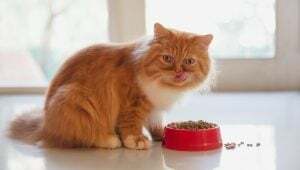 After a trip to the vet, I decided to try out these tips that might help you with your own food-obsessed cat.